What kind of gantry crane do you require? What is the height or pitch at the two points where the long travel rails will mount to the support structure? 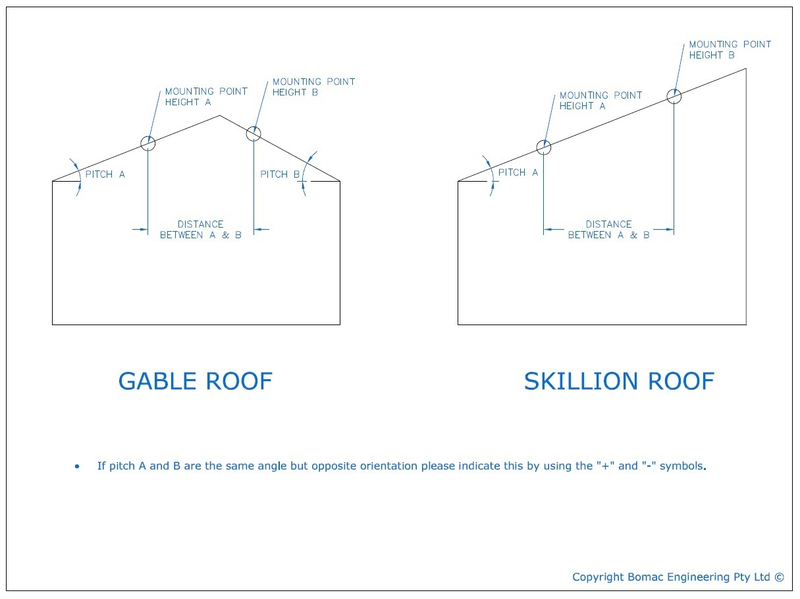 Please view our roof measurements drawing at http://bomac.com.au/roof-measurements to assist you. What is the distance between point A and B?